There is one question to Salman Khan that irritates him a lot but despite that people ask him continuously and it is 'when he will get married?'. The actor is now 52 years old and despite that, he is the most eligible bachelor of Bollywood. Although Salman Khan had not married yet but his love affair is not new to the filmdom, he has a couple of relationships that were quite popular. One of them was with actress Katrina Kaif but they later broke and Katrina went for Ranbir Kapoor. However, after a relationship of 5 years, Katrina Kaif once again broke with Ranbir Kapoor, while now Salman Khan is dating Italian model-actress Iulia Vantur. Reports were even that Salman is going to marry Iulia but till now there is no confirmation about it. 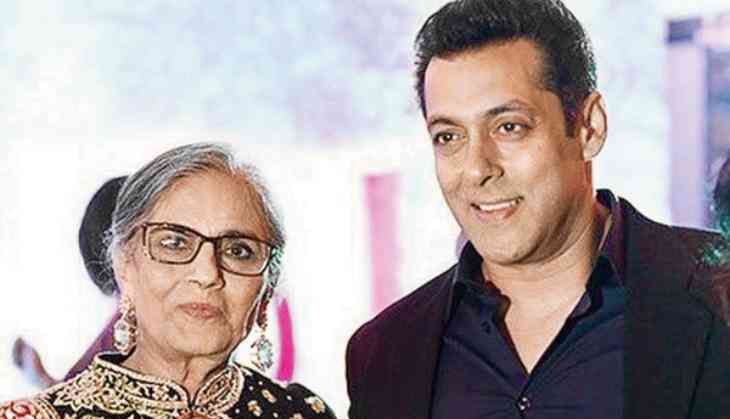 A few months ago in one of the interview, Katrina Kaif once revealed that Salman Khan's mother Salma Khan had a desire that Katrina should get married to Salman Khan. At that time, one picture of Katrina Kaif with Salma Khan also came out and went viral on social media. On the professional front, Salman Khan and Katrina Kaif are busy in the shooting for their next venture Bharat, directed by Ali Abbas Zafar. This will be the second collaboration of the trio after the super success of Tiger Zinda Hai in 2017. The film Bharat is slated to hit the screens on Eid 2019.